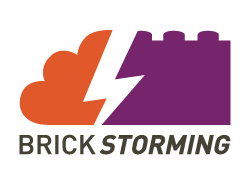 Brickstorming is a business facilitation, educational consultancy, and visual artistry company specializing in the LEGO® SERIOUS PLAY® method. LEGO® SERIOUS PLAY® or LSP is a facilitated thinking, communication and problem solving technique for use with businesses, organizations, classrooms, teams and individuals. In LSP experiences, participants use a carefully chosen selection of LEGO® bricks and elements and a unique process that encourages people to “think through their fingers.” The LSP method taps into the natural human ability and desire to play; to imagine, to describe and to make sense of a situation at hand, to initiate change and improvement, and even to create something radically new! Do you really provide business consulting using LEGO®? How do I try this out for my business? 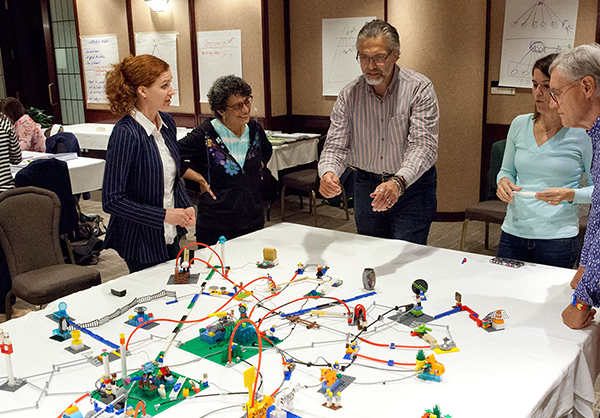 Could I become a LEGO® SERIOUS PLAY® facilitator too?